Today we are going to look at and review the NVIDIA GeForce RTX 2060 Founders Edition; a graphics card that is probably the most appealing among the RTX 20 series cards. At $349 USD, NVIDIA hopes to bring Ray Tracing and AI to “tens of millions of gamers everywhere”. At that price some of you may think that it is still an expensive graphics card considering that its predecessor, the GTX 1060, was released with a retail price of $250 only. 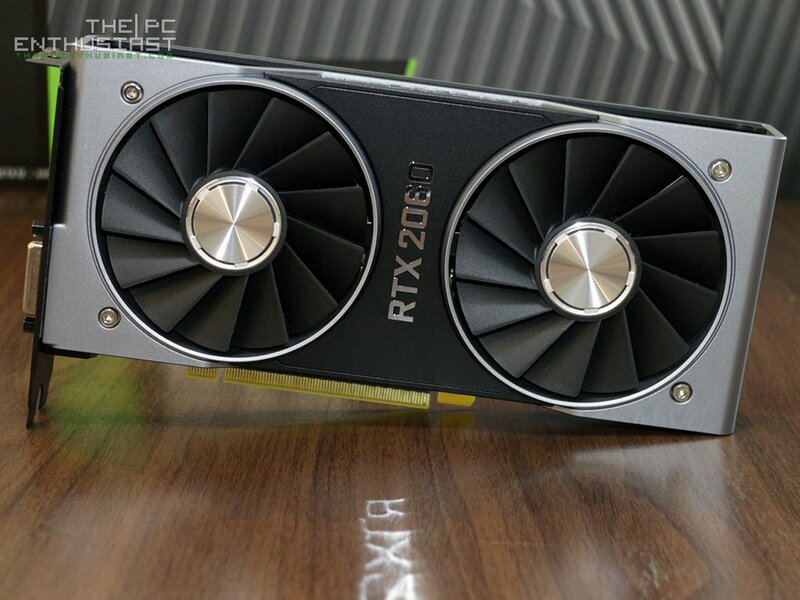 Before you conclude, let’s see how the new RTX 2060 performs first in this review. The RTX 2060 is also targeted towards 1080p and 1440p gamers, and offers gaming performance similar to a GTX 1080. Let’s find out about that as well in a moment. And this is without DLSS enabled; real-time ray tracing and DLSS are just “bonus” features for this card at this point. 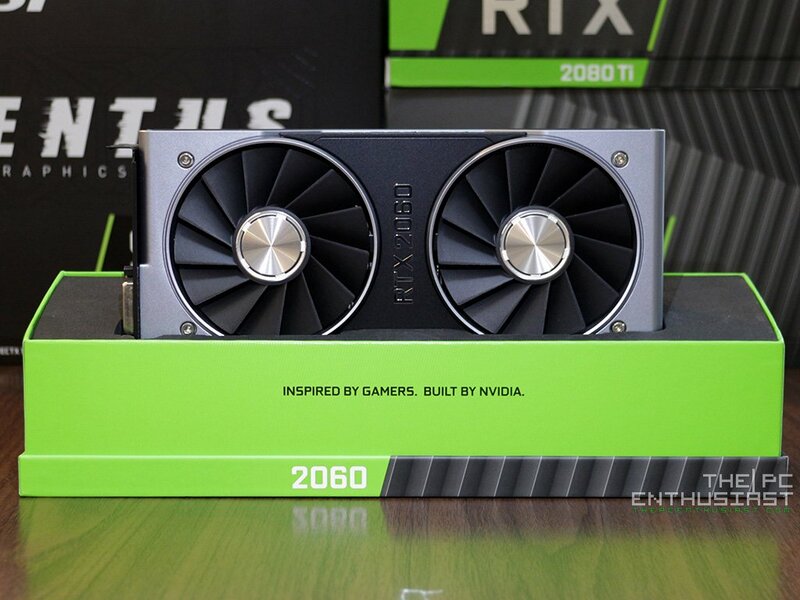 Interested in learning more about the new RTX 2060? Perhaps planning to buy one for your new gaming machine or an upgrade for an existing gaming rig? Continue reading our NVIDIA GeForce RTX 2060 6GB Founders Edition review below and learn more. 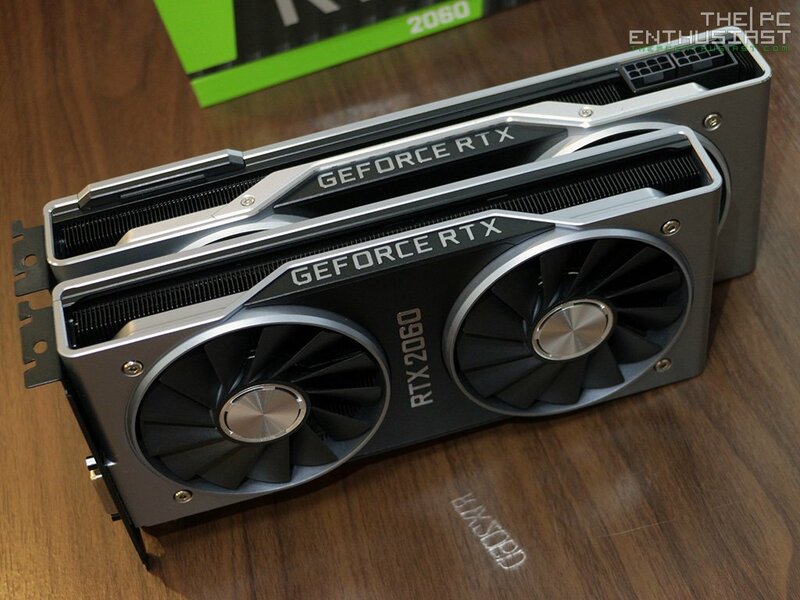 Basically, the NVIDIA GeForce RTX 2060 is capable of doing what its siblings can – real-time ray tracing and DLSS; only not as powerful compared to the higher end cards. The RTX 2060 uses a modified TU106 GPU chip; same TU106 on the RTX 2070 but with some of the Turing Streaming Multiprocessor (SM) disabled. To be exact, it has only 30 SMs, 1920 CUDA cores, 240 Tensor cores and 30 RTX cores. You can see the specifications comparison from the table below. It would be great if NVIDIA somehow bump its memory capacity to 8GB of GDDR6, since its predecessor the GTX 1060 only had 6GB GDDR5 of memory. However, the GeForce RTX 2060 remains to have 6GB of memory, but instead of using GDDR5 memory NVIDIA used the faster GDDR6 memory. Still, the 6GB memory size might be a limiting factor especially if you are planning to play games at 4K UHD; or if there are tons of mods, HD texture packs and other visual effects. The RTX 2060 isn’t meant for 4K gaming in the first place, but at 1440p and with all visual improvements loaded, it could have an impact. Real Time ray tracing has long been considered the Holy Grail of graphics. Ray tracing is a computationally-intensive rendering technology that realistically simulates the lighting of a scene and its objects by tracing the path of light from a game’s virtual camera back to the originating light source. Ray Tracing is used widely in film, product design and architecture with off-line (not real time) rendering. It was thought to be years before it would be accomplished in real time, but with the invention of Turing’s new RT Cores, real-time ray tracing is now a reality for gamers. The GeForce RTX 2060 features 30 RT Cores delivering 5 Giga Rays of ray tracing performance; and 240 Tensor cores that delivers 52 TFLOPS of deep learning horsepower and can be used to improve gaming performance through a feature known as Deep Learning Super Sampling (DLSS). According to NVIDIA, with RTX on, the RTX 2060 could deliver around 65 fps on Battlefield V. I am assuming this is on a 1080p resolution. With DLSS turned on as well, the frame rate could increase to an average of 88 fps. At this time, the DLSS patch for Battlefield V has not been released yet, so benchmarking BF V with both RTX and DLSS features enabled will be save for a later article. 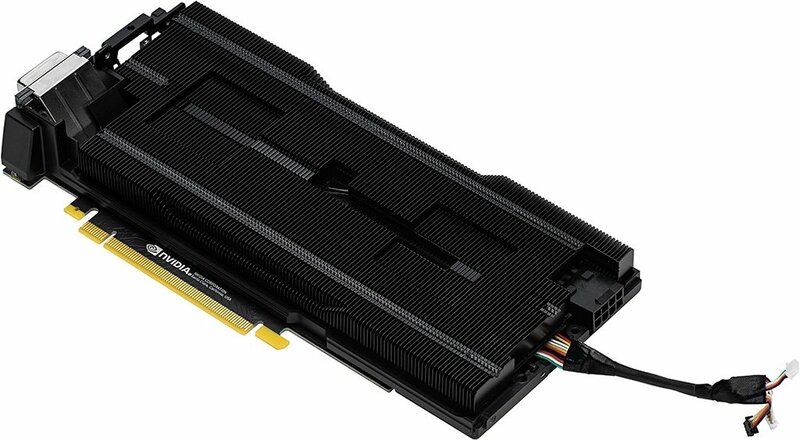 New memory system featuring ultra-fast GDDR6 for high-speed, high-resolution gaming. 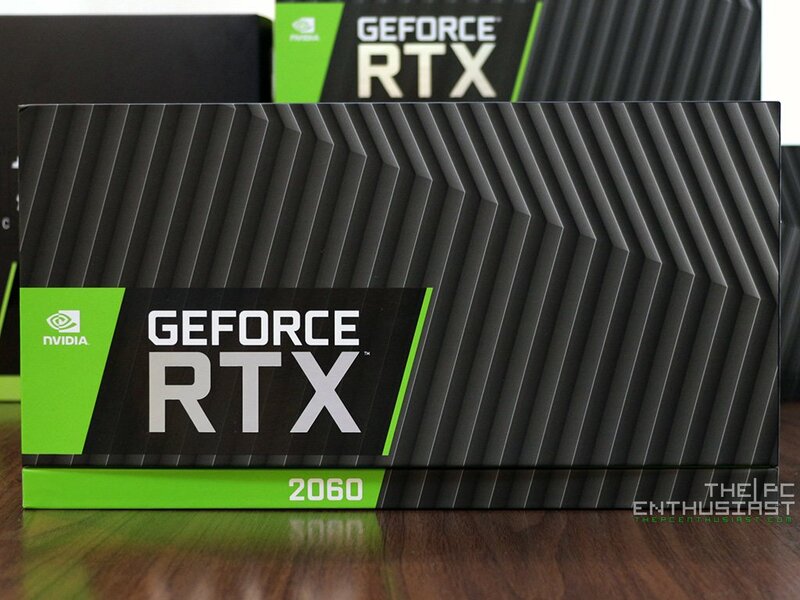 NVIDIA’s packaging remained the same all throughout the RTX series. However this time, the package doesn’t include any DVI adapter anymore since the RTX 2060 Founders Edition has a DVI output. Above are the front and back view of the graphics card. Like its RTX siblings, it features an all-metal wrap around shroud; making it look and feel premium. 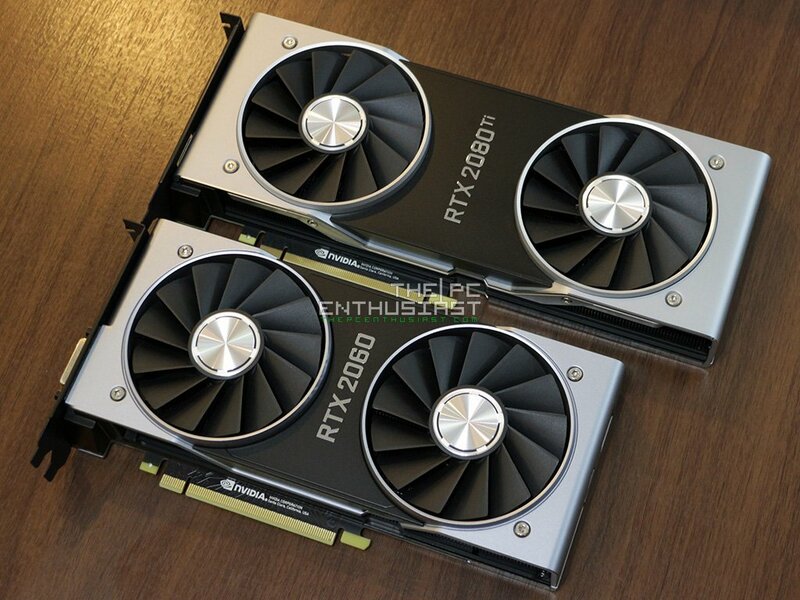 The RTX 2060 FE is just about the same size as the RTX 2070 FE; measuring 9.0-inch (228.60mm) in length, 4.435-inch (112.6mm) in width and occupies only 2 PCI slots. On the output area there are two DisplayPorts, an HDMI port, a USB Type-C port and a DVI-DL port. The RTX 2060 FE supports multi monitors up to 4 monitors and HDCP 2.2 as well. Another thing what I love about this graphics card is that the PCIe power connector is located at the back of the graphics card (or rear end). 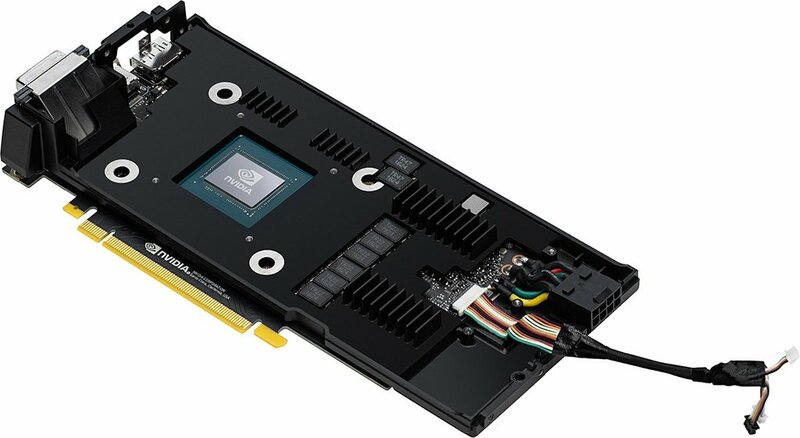 The GeForce RTX 2060 FE requires a single 8-pin PCIE power connector and at least a 500W of power supply. As you can see from above, the RTX 2060 FE is shorter compared to the RTX 2080 Ti FE. 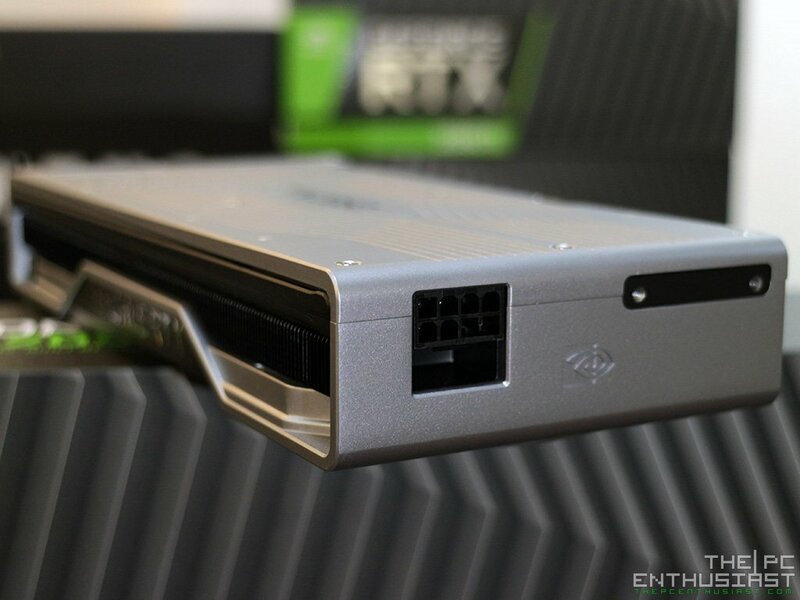 It also lacks the NVLink connector for SLI, just like the RTX 2070. 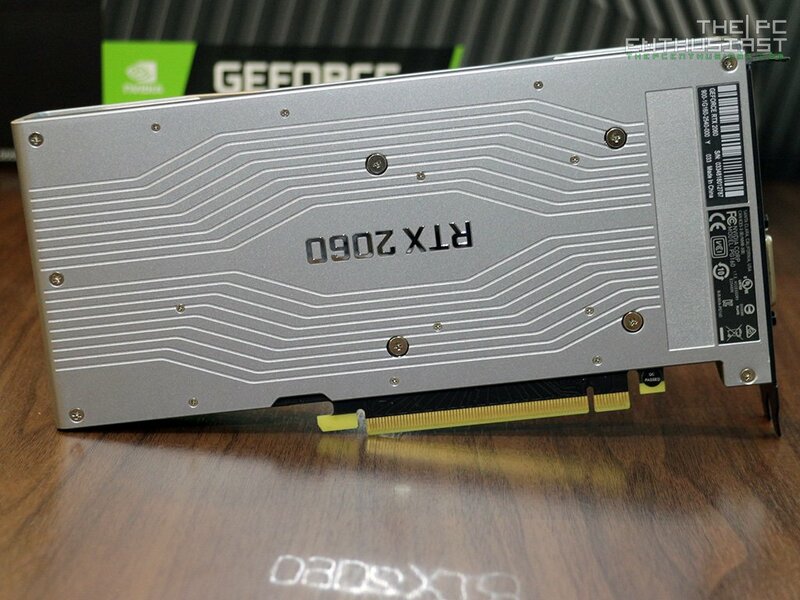 Only the RTX 2080 and RTX 2080 Ti features NVLink connector. Basically, the cooling solution and the cooler shroud are similar as well. It’s just the length of the graphics card that is different. I didn’t have the time to disassemble the RTX 2060 Founders Edition, and I’m pretty sure disassembling the Founders Edition card is not easy compared to partner cards. So I’m going to use the official press photos instead. Above you can see how the aluminum heat sink looks like, and the PCB itself is supported by a layer of metal that passively cools the other components of the graphics card like the memory and etc. Finally, notice that there is a slot on the PCB for the PCIe power connector, but NVIDIA didn’t used it. Instead, they re-routed the PCIe power connector, soldered some wires so that the PCIe power connector is now pointing at the rear end of the graphics card. There are six GDDR6 memory chips on the RTX 2060, most likely from Samsung for the Founders Edition cards. 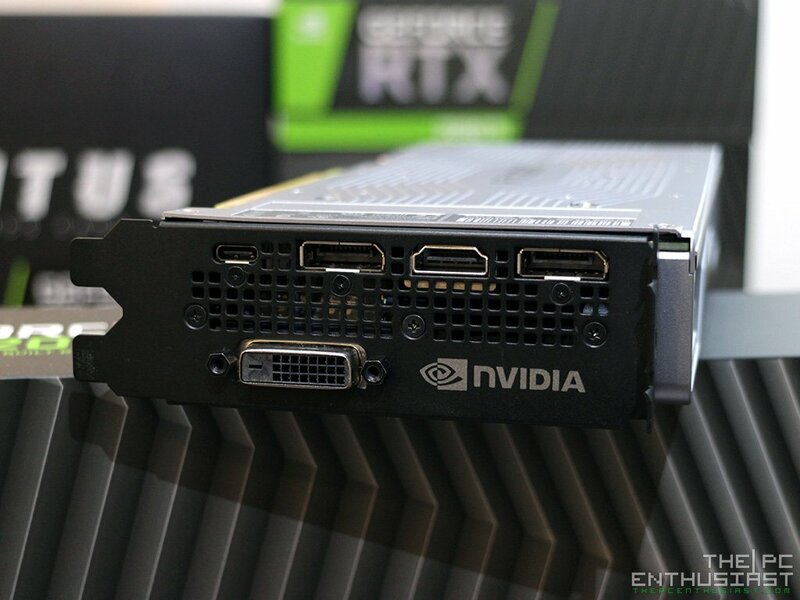 At the heart of the RTX 2060 is a modified NVIDIA TU106 GPU chip, the same TU106 on the RTX 2070 but with some of its Streaming Multiprocessors disabled. The TU106 is a 12nm fabrication process by TSMC; it has a die size of 445 mm² with 10.8 billion transistor count. Finally the GPU is paired with a six phase VRM, while the memory has 2 phase VRM. Now time to see how fast the NVIDIA GeForce RTX 2060 Founders Edition can go on the next following pages.